This is an easy, warming vegan stew that is easy to double or halve, gets better as leftovers and freezes well. And as if that weren’t enough, this tagine lends itself to using seasonal vegetable so is economical and environmentally friendly, too. In the summer, use more Mediterranean type veg and serve at room temperature. At any time of the year you can speed up the prep by using frozen vegetables. Serve for dinner or lunch with green salad plus couscous, quinoa, baked potato, steamed pitta bread or in wraps. Extra harissa and a few slices of griddled halloumi are great add-ins. Vegetarian and vegan food can sometimes get a bad rap for being boring and bland. Bean-filled this, wholemeal encrusted that, a few dried mixed herbs and hey presto, a filling meal. Are most vegetarians really eating like this? I don’t think so. At least I hope not. Admittedly, if I peruse some of the vegetarian cookery books from the 70s and 80s even I, an ardent exponent of plant-based cuisine, will go ‘bleuch.’ Maybe our tastes have changed, but nut cutlets, lentil loaf and black-eyed pea rissoles don’t really do it for me. Then or now. A lot of the recipes for last century vegetarians and vegans were what I would term as penitential: a punishment for not eating like everyone else. Well, some of us did eat as everyone else did, but removed the meat from our plate (and all hope of protein); others of us made a big song and dance about the goodness of beans and shoved them in everything that tofu didn’t feature (and sometimes even if it did). Still others survived on chips, beans and macaroni cheese. I saw a lot of that in mid-80s Britain: “Oh, I’m a vegetarian, I don’t eat meat,” they would sanctimoniously declare as they stuffed their faces with a stodge fest of gooey, cheese laden carbs. Not a great advert for their lifestyle choice. But it is so different now. Partly I think it is to do with travel. Many of us have experienced at first hand the culture and food of other countries, and brought back new ideas to integrate into our own daily eating – new spices, new foods, new cooking methods. But also, I think in huge part, change is due to the Internet. Even those of us who never travel from our own country can, with relative ease, gawp at another culture’s cuisine with the click of a mouse, or swipe of a virtual page. And from gawping and hmming comes experimenting. loads of fresh vegetables, chickpeas and homemade rose harissa from my freezer, cut into easy-melting cubes. My own adventures certainly stem from a combination of the two. 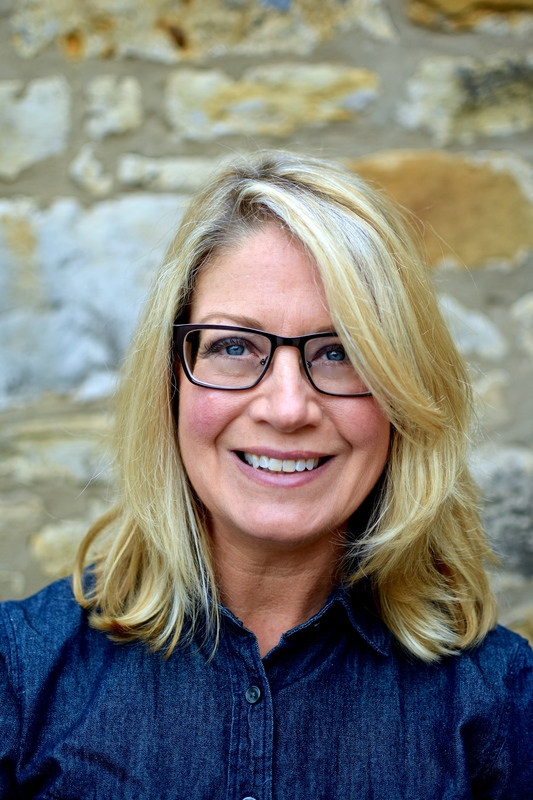 I have traveled fairly broadly around the Mediterranean, and the traditional diet of loads of seasonal veg and fruit, olive oil, fish, grains and little meat and cheese has heavily influenced the way I cook at home, and for work. But, as with Georgia – from two posts back – I have never been to North Africa. This hiccup in my travel diary has not stopped me loving their food, especially that of Tunisia and Morocco. I love the intense but not hot spicing – the ochre and fire colours, the soft braising of meat, dried fruits and vegetables, the slowness of method. It is kind of time-standing-still cooking. Not perhaps suited to a quick midweek meal, but a productive and fragrant way to spend a few hours at the weekend. The beauty of much North African cooking is that once you’ve made it – hopefully a big batch – it tastes even better the next day, and the next. Although North Africans do indeed eat meat, they are very clever and creative with vegetables, pulses and grains. Something we can learn from. Life is too precious to spend it eating boring food. Spice up your food. Spice up your life. By the way, tagine is not only the name of this type of stew, but also the name of the conical ceramic dish in which it is cooked (here is a particularly lustful one). But you knew that already. 1. Heat the oil in a large lidded pan over a low-medium heat. Add the onions and carrots and saute gently for 10 minutes with the lid loosely on; stirring occasionally. Stir in the spices and garlic, cooking for a further 2-3 minutes, stirring. Don’t let it burn. 2. Add in the vegetables and chickpeas, along with tomato puree, chopped tomatoes, preserved lemon juice and skin, and up to 100 ml of water, if you think it needs it (end result of stew should be thick with a bit of sauce). Bring up to the boil and then turn down to a very gentle simmer. Cover and leave for about 45 minutes. Do not peek more than once as the steam holds flavours that build up and drip down, helping to make this dish so tender, tasty and melt-in-your mouth. Season to taste after it cools down a bit. 3. Make up the couscous at the end of the stew’s cooking time. The stew should be left for the flavours to develop as it cools a little. It actually (as with most stews) tastes better the next day. The tagine freezes well too. The Couscous: Add 100g of dried couscous, ½ tsp of salt and a handful of snipped dried apricots (unsulphured if possible) to a wide-ish bowl and pour over 225ml of just- boiled water and 1 tsp of good extra virgin olive oil. Cover with some cling film and leave for 10 minutes. Add another 2 tsp of good extra virgin olive oil, or a knob of butter, and fluff with a fork. Couscous is quick and easy to make when the stew is finished simmering and is coming down to a manageable temperature. 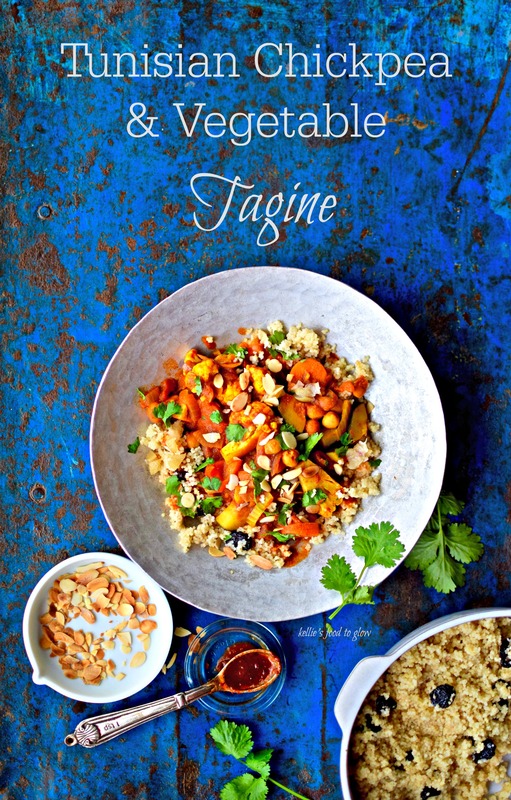 Serve a big ladle of tagine onto a smaller spoon of couscous and top with shredded mint. For a bit of authenticity (and a bit of a laugh) serve the stew and couscous with large Romaine lettuce leaves. Plop a bit of both into a leaf and roll up like a tortilla. Add a dash of my rose harissa paste if you desire a bit more heat (my version of Moroccan spiced chilli paste). If you want to buy some instead, I like al’Fez brand. Fabulous! Will have to try this. The 80s were a scary place for vegans and vegetarians. It was all a bit knit your own yogurt. I’ll take that as a thumbs up?! Mmm, I can feel a warm glow drifting from my screen looking at this. Full of my fav ingredients and one I shall certainly be making, thank you for the recipe. Talking of glowing, your new profile picture is perfect as you look the epitome of good health – your recipes obviously work! Love that you can make this with whatever seasonal veggies you have on hand, plus what’s NOT to lust for over that tangine dish?? I’ve not eaten much N African food, but definitely pinning this to try soon! This looks delicious! I am so glad we are no longer in the “shove beans into everything and call it good” era of vegetarianism. Or the “add tons of dairy” era – the first edition of the Moosewood cookbook has so much dairy – a heart-attack waiting to happen! Thanks you. I have that first Moosewood and I must go and revisit all of those dairy-riffic recipes 😀 The subsequent books are good though. I must admit to preferring non-UK/US vegetarian recipes for the most part. Fulfills the armchair traveller in me I suppose. With a cold rain on the way the warming comfort of the Tangine is so enticing! A well stocked spice cabinet is the back bone to dazzling flavor! With the holiday baking season in gear I have moved the cinnamon to its place of honor, front and center! It will be pleased to be part of such a robust fall dinner! Let’s hear it for the spice cupboard! Vegetables get all the glory in vegetarian cooking but spices and herbs are what makes most recipes, veggie or not. I hope you have a big ol’ Costco tub of cinnamon for all of your cooking and baking! Looks delish!!! Lucky for me, I’ve just finished sprouting a huge vat of chickpeas, so will make this tonight! I just made the switch to vegan and this recipes looks like it would be a delicious addition to the menu! I am not vegan myself but I do a lot of vegan meals, and really enjoy cooking this way – such a challenge! This recipe is a simple and economical favourite of ours. Glad you like the look of it. Thank you for commenting. That looks good! Going to try it this week-end! Yummy! I will Linda. Thanks for the link. It does ring a bell now that you mention the cancer connection. I love tagines. What wonderful colours and flavours packed into this dish. A joy to the eyes as well as to the palate! Thank you! I hope you try it with your own choice of veg one day. Oh, this looms perfect. I love dried fruit in stews and chickpeas are so good too. I want this! Yay! With all your garden bounty this will be so delicious – and well cheap too! Hate to sound word-poor, but, oh yum 🙂 ! I’ll copy this exactly over the weekend before doing my own tweaks! Have been trying a number of Tunisian recipes lately: perhaps it has been the choice of dishes, but I almost prefer what I have found there. The apricots and the mint here delight too 🙂 ! That’s very kind of you Eha. My version of this classic is based on – as usual – what I like and have to hand. Perhaps we are simpatico in this area? I hope that you really like it, and make it your own with tweaks. That’s the best thing: making a recipe your own and keeping it in your life. Big dollop of yogurt is a must for me too. And lots of chilli flakes or Harissa. We eat a lot of chillies in our house. Nice to hear from you Laura! I have never wanted to eat my computer screen so bad. This looks great and it looks like it tastes even better than it looks. GOT.TO.MAKE.THIS! thanks so much Anne. The photos are well dodgy but the tagine is mighty tasty! We’re so blessed to have better choices than we used too. I’m not vegetarian but we LOVE good vegetarian food since the focus is usually on fresh veggies that are so good for us. Thank you for sharing my link. 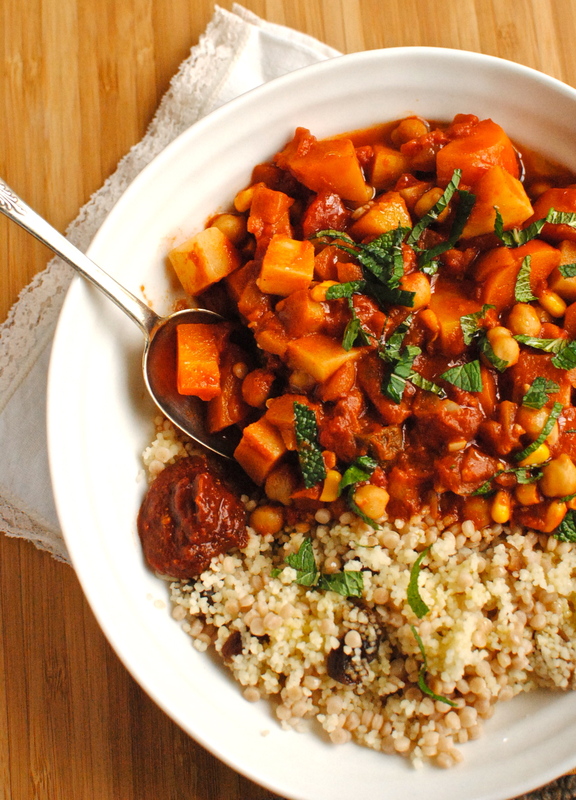 I love your tagine recipe with all that delightful squash! My darn spam filter caught you. It is a fickle thing – sorry! I was pleased to find your recipe and your site. Love your name! I’m not a vegetarian either (I love fish) but we do tend to eat a lot of vegan things as I do them for my cancer nutrition classes, and we love our vegetables. I think my desert island food would be kale. Kellie, I’m going to try to make this. Remember the Moroccan stew we used to get at the VA (or was it the Moffitt) cafeteria? This looks over the top delicious!!! I would love to share this on our site during the new year. I am stopping by courtesy of Faith’s amazing giveaway. Just thrilled that I have crossed paths with your site. Thank you Val for finding me through the lovely and talented Faith. I am sorry for the delay in putting up your comment but you got caught in my overly protective spam filter. It doesn’t like new commenters, but I most certainly do! Hope to ‘see’ you agin soon. This looks so appetizing! Can’t wait to try it. I love love love these types of vegetarian dishes, that are just bursting with flavours. I am very glad you like such recipes. I hope you have a trawl through the index & find other recipes that take your fancy. Delicious Kellie and very much my kind of food. Thank you for sharing. So easy and even better, already had ingredients so didn’t need to venture out. Real comfort food for this frosty weather. Enjoyed it with brown rice and a dollop of greek yogurt on top! Thank you so much for not only making the tagine, but also taking the time to leave such an affirming comment. Made my day! Hi there! The food looks delicious but it’s unfortunately misnamed! I am Tunisian and although this is what Tajin looks like in Morrocco, Tunisian Tajin is made with egg – like quiche or casserole. Still, I like that you added harissa! Bon appetit! Thank you Malek. I was misinformed! I will edit the recipe to reflect your advice. Thank you! We made this tonight and it was a hit. Used quinoa instead of couscous but it worked. I often do it with quinoa too. So glad you liked it! Fantastic Michi! Have you made any changes you would like to share? What a beautiful recipe! Love the flavour combinations. I made this today, and it turned out quite tasty. I had no tumeric nor dried mint but I served it was fresh chopped cilantro on top. The apricots in the couscous definitely gave it a special kick. Filling and quite hearty, what a great recipe. I think I might try this one it has so many great reactions.